Ever-patient Boris the bear takes Morris the moose to the circus. When he sees no moose in the show, Morris joins in with predictably funny results. 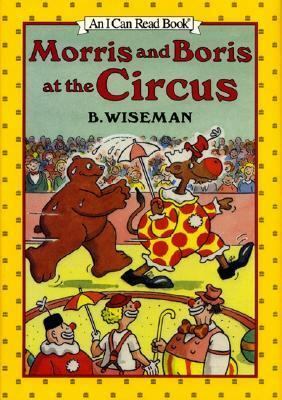 The text is illustrated in three colors with comical drawings.Wiseman, Bernard is the author of 'Morris and Boris at the Circus' with ISBN 9780060264789 and ISBN 0060264780.